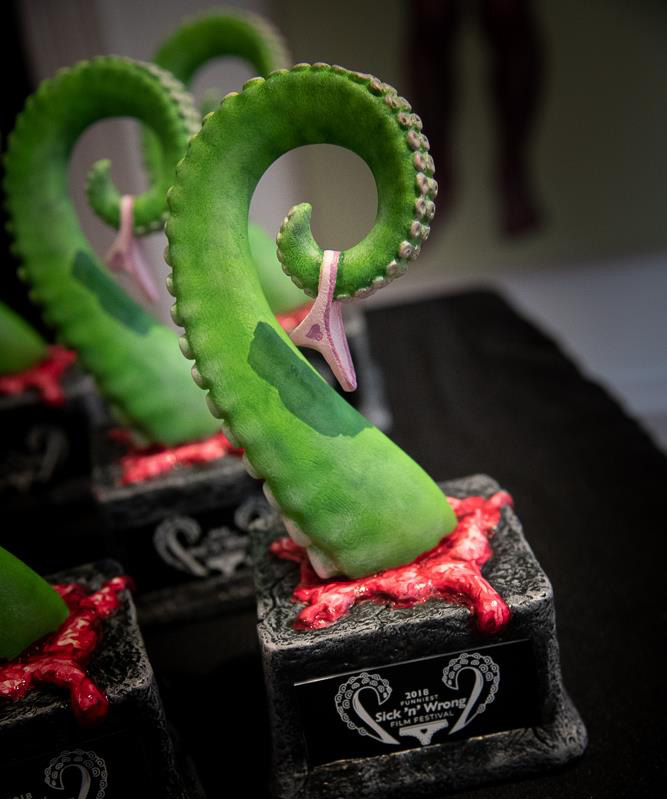 The Sick 'n' Wrong Film Festival is now accepting submissions for its fourth annual event, scheduled to take place August 9-11 at the Rogers Kiene Building in downtown Orlando. Sick 'n' Wrong is dedicated to showcasing the strangest, most disturbing, and most defiantly uncategorizable independent films being made. Sick 'n' Wrong accepts submissions of all forms and genres: shorts, features, documentaries, music videos - anything goes so long as it leaves the viewer wondering, "What the [bleep] did I just watch?" Also new for 2019, Sick 'n' Wrong is offering a 20% submission-fee discount for women filmmakers, filmmakers of color, and LGBT+ filmmakers. Interested filmmakers should email festival director Stephen Stull at stephen@demonskull.org. Fans and creators of weird cinema can find more information about the Sick 'n' Wrong Film Festival by visiting sick-n-wrong.com.